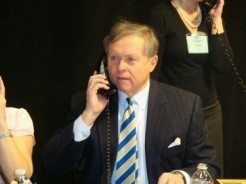 With the flip of a switch at 7 a.m. on Friday morning, March 5, phone lines across the state began to buzz as the North Carolina Bar Association’s third annual 4ALL Statewide Service Day was up and running. Twelve hours later, when the final nugget of legal information was passed along at no cost from a North Carolina lawyer to a grateful citizen of this state, another enormously successful public service event was in the books. The record books, that is. Operating from seven call centers stretching from the mountains to the coast, volunteer attorneys fielded 8,467 calls, eclipsing the previous mark by a considerable margin. Of course, in the end, it’s not about the numbers, it’s about helping the people of North Carolina, who continue to make this event the worthwhile success that it has become by taking advantage of the opportunity to have their legal questions answered for free. “This year was much faster paced for some reason – shorter questions which often required shorter answers meaning a higher volume,” stated volunteer attorney Nan Hannah of Raleigh. “The calls were more varied, with the usual concentration on Family and Criminal Law issues. In addition to issues normally addressed, this call center also received a number of weather-related questions brought about by one of the harshest winters on record in western North Carolina. ”While many calls dealt with the economic problems (mortgage foreclosure, credit card debt, and taxes),” Robertson added, “we saw a lot of questions about who was responsible for the damage and clean up from the trees that had fallen from the neighbor’s property during the winter snow and ice storms. 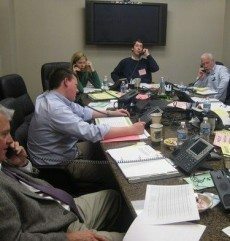 It takes an army of volunteers to make it happen, from the attorneys who field the calls to the paralegals, law students and legal aid attorneys who provide support throughout the day. 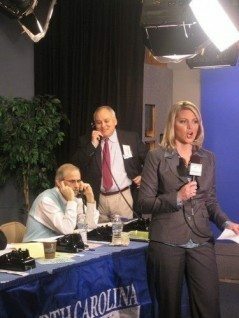 NCBA staff and employees of the call centers also play pivotal roles in bringing this event to fruition.